So you’ve made it to Ilveresh and are all set to do some hero stuff, but the mosquitoes are getting you down? Here’s some ways to keep yourself mosquito free, tried and true from the deeper parts of the swamp. There are amazon.com links attached for all of the different repellent methods you can purchase. The traditional. This is what a majority of our players use. All of it is helpful. In practice, anything that advertises itself as deep woods, backwoods, or sportsmen works better. A higher deet content is usually better than a lower one. 25% to 45% seems to be the sweet spot. A couple of quick notes about deet. 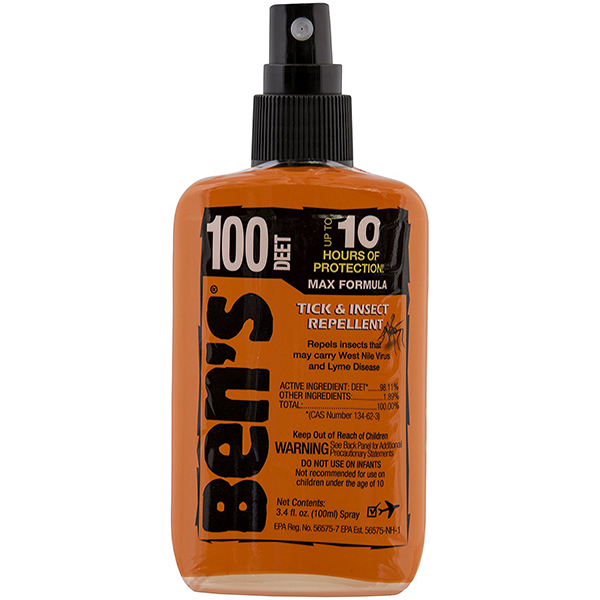 First, if you hunt for it, you can find spray with high levels of deet (90% -100%) It does not work as well as you think it would. It also burns more than you’ll want it too. Second, deet does not get along with prosthetics like latex ears and nail polish. Deet will slowly melt away both of those. There are some other things worth mentioning about bug spray. Just because you spray yourself down doesn’t mean all the spray will stick to you evenly. That’s okay. Make sure to get the back of your shoulders, forearms, and head. This goes double for my fellow balding men. A trick I like to use is to spray a lot in my hands, then use that to rub around my ears and face. There’s nothing worse than a mosquito buzzing around your head. Also, you will sweat your bug spray off. It’s just something to be aware of. You can fight a bunch, then go reapply your bug spray, then go fight a bunch, then go reapply your bug spray again. Live that cycle. If your cool with it, we’re cool with it. You should be able to find bug spray just about anywhere you look for it. A must have for the deep woods ranger types. It’s a simple lotion, like sunscreen, with 35% deet. As a lotion, it gives a more even coverage than a spray. Put on a good layer before you garb up. Make sure to get around the ears. It’s easy to find at any camping store in the area. This stuff is great. It is meant as a treatment for clothes and it works wonders. You can find it in camping stores and department stores. Not only does it keep mosquitoes away from your clothes, it’ll repel other bugs too. Surely a bonus with ticks around. Find a dry day before the season and spray your garb down. Let it air dry for a while. It’ll last you the entire season. Garlic Pills are a commitment. They’re easy to find at any department store in the vitamins section. To be effective, you’ll need to take about four per day during the event. They’ll smell, then you’ll smell as garlic oozes out of your pores. You’ll feel a little greasy, but hey, if it works on vampires, it’ll work on mosquitoes. This one is largely a character choice. If it’s not the way you want to go, ignore it. That said, the less open skin mosquitoes have, the harder it is for them to get at you. They will still make a successful go of it. Thicker fabrics are better than thin ones. This is also easier in the colder months. Sometimes we still have mosquitoes in winter. There’s not a lot you can do to avoid the mosquitoes without aid. One thing that does help a bit is to keep moving. You’re quite the buffet when you stand still. Activity can make it hard for the buggers to stay with you and take your mind off them. For those who are camping on field, it’s good to keep air circulating on you while sleeping. This will deter mosquitoes by making it hard for them to land on you. A little camping fan that is blowing on your face will do just the trick. Also, some mosquito netting inside a tent or car can go a long way if you can rig it up. This should help get you past the mosquitoes and back to adventuring and drinking to your health. Just make friends with the mud and you’ll be right at home in the swamp. If there are any methods that you know of to thwart mosquitoes that are not mentioned here, please share them. Be a hero. Everyone hates mosquitoes.